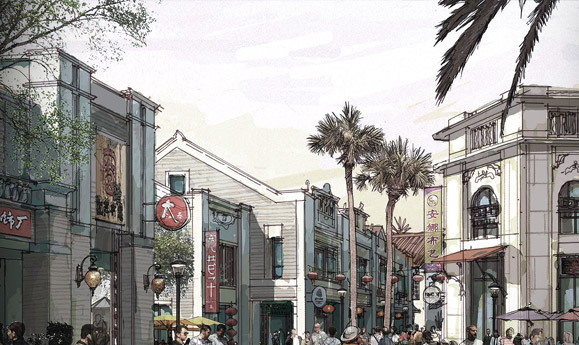 Mission Hills．Huayi Brothers．FengXiaoGang Movie-Themed Town is destined to be a major entertainment and commercial district. 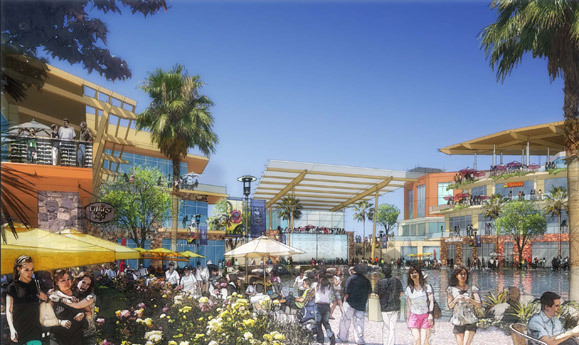 It will be located on a 1,400 acre site at Mission Hills • Haikou. The complex will feature settings from some of Feng’s famous movies, including “Temperature So 1942” 《温故1942》, “Tangshan Earthquake” 《唐山大地地震》、 “If You are the One”《非诚勿扰》and series of Lunar New Year movies showcasing the historical revolution in Chinese architecture over the last century. 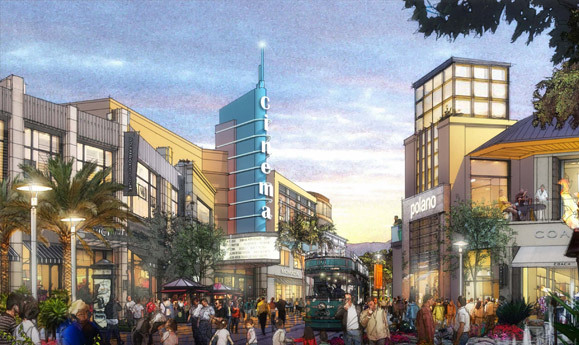 In addition to having its own movie-theme, each district will feature numerous dining, entertainment, shopping, cinema, cafe, bar and hotel facilities. The combination of iconic movie scenes and 24-hour dining and shopping districts will further establish Mission Hills • Haikou as a leading business, entertainment, cultural and leisure destination in China. Visitors will be able to enjoy a specially edited 40-minute “Lunar New Year Movie Highlights” by Feng in the cinema; purchase merchandise worn by the movie stars; visit the celebrity photo gallery and wax museum; plan a wedding photo shooting at the movie-themed photo studio; stay in Feng’s “If You are the One” boutique hotel; or dine in “A World Without Thieves” train-carriage restaurant. Additionally the project will see the construction of five or six professional movie studios with supporting filming facilities. With the benefit of its tropical climate, the developers believe Hainan Island can be a major destination for TV and film makers in China and aboard. 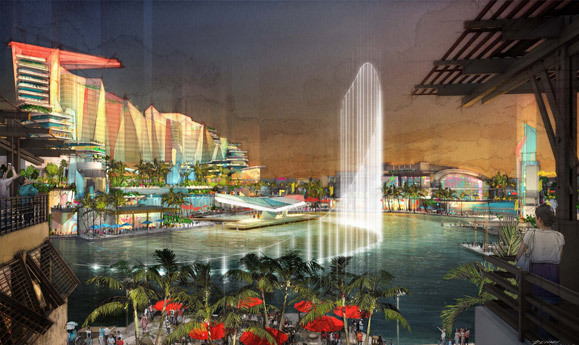 The construction of this USD 158 Million project will begin in October 2012 with a Grand Opening scheduled for the 2014 Lunar New Year. Located at Haikou, the captial of Hainan Province, this brand new project adjoins the newly opened Mission Hills Hainan International Golf Resort. Contains [Lan Kwai Fong Entertainment Zone] , [Quarry Lake] , [Fashion Avenue] , [China Grove] , [Village Lane] and international five-star hotels. A lively mixture of Asian and Western, featuring exciting dinning concepts, trendy bars, outdoor cafes, pumping clubs and dynamic karaoke. Featuring a multi-sensory experience, Quarry Lake will be the focal point connecting the Lan Kwai Fong Entertainment Zone and Fashion Avenue. Peaceful and serene by day, the lake will transform into a water symphony of sound and light, giving shoppers adn diners a chance to take a break and enjoy the show. The world's most prestigious brands in a timeless setting. 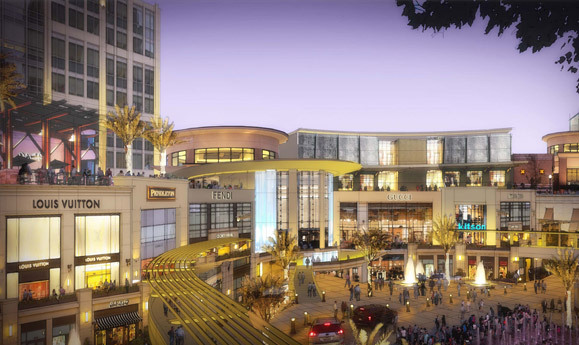 High-end retail in a serene atmosphere inspired by global landmarks such as Rodeo Drive. Fashion Avenue will showcase the finest brands in fashion, watches, jewellery and accessories. Leading the way for fashion trends, shoppers will enjoy the very latest collections. An open air, themed mixed-retial shopping experience with surroundings inspired by 1920s Shanghai. The latest international anchor brands and fashionable labels for the style conscious customers. Latest blockbusters to recharge between shopping. State of the art bowling alley located near the cinema offers even more fun for the whole family. Experience traditional Hainan culture in a nostalgic neighbourhood. Vivid recreations of traditional Qilou shop house, village lane resembles a traditional South China historical town. Comprised of open air teahouses and small traditional food stalls in densely populated parallel streets and complimented by lakes and water ways. Delicious Hainanese dishes fill the stalls, featuring plentiful seafood - a local specialty. Sll freshly grilled, visitors can taste, experience and explore the local culture and delicacies.